Jamie W. Hall is a baritone with a passion for Oratorio and the great choral-orchestral concert works. His earliest musical experiences were supported and encouraged by a few wonderful state-school teachers and it was his ambition as he began his university education to return to the classroom. His attention was diverted however as interest in his singing voice grew and the world of classical music began to open up to him. After a brief flirtation with cathedral music Jamie was appointed – at the age of 25 – to the BBC Singers where he continues to enjoy the vast sublime-to-ridiculous repertoire and the opportunity to perform as soloist, notably in Rossini’s Petite Messe Solennelle with David Hill; Joseph Horovitz’ Captain Noah and his Floating Zoo with John Wilson and his orchestra; and the role of Mr Noye in a fully staged performance of Britten’s Noye’s Fludde, under Martyn Brabbins, with the legendary Michael Crawford as the Voice of God. As a proponent of contemporary music, he has performed countless premieres and created roles, such as Pilate in Paul Drayton’s The Passion of Christ, performed first in Truro Cathedral with Christopher Grey, and later recorded for broadcast (Easter 2019) with Martyn André. Jamie has sung operatic roles on the concert platform and in Proms performances, notably in Electra (Strauss) and in Khovanshchina (Mussorgsky) both under Semyon Bychkov; and he relished the chance to become a foul-mouthed Death Row inmate alongside Joyce DiDonato in Jake Heggie’s Dead Man Walking under Mark Wigglesworth. Jamie has sung all of the major oratorio roles and concert works with choirs and orchestras up and down the country, from Verdi’s Requiem at Ely Cathedral, (Stephen Cleobury) at Liverpool Philharmonic Hall and at the Sherborne Festival; Bach’s St John Passion (Christus) in the cathedrals of Chester, Coventry, Winchester and Guildford; Vaughan Williams’ A Sea Symphony at Tewkesbury Abbey, Dona Nobis Pacem at Bristol Cathedral, Five Mystical Songs at Southampton Central Library; and too many performances of Handel’s Messiah to name. Jamie has a great affection for the works of J.S. Bach and has regularly performed his Magnificat, the Passion settings, the Mass in B minor, Christmas Oratorio and various cantatas including BVW 82, Ich Habe Genug. 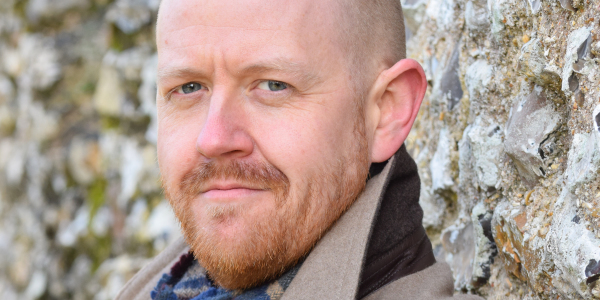 Jamie is passionate about all areas of choral music education and has – before choosing to focus on performing – worked variously as vocal teacher, conductor and composer with a number of his works having been published, broadcast on radio, and recorded for commercial release. “Joining the chorus were soloists Vanessa Bowers (soprano) and Jamie W. Hall (baritone) both of whom gave outstanding performances”. Martin Firth, Bristol Post.